« The Ninth ‘Timber: United States Marshal” From Million-Mover Robert Hanlon Is Now Available! The brand new action-western from acclaimed author Sketch Fargo! Cyrus “Shotgun” Coulter and his friend Sam “Whip” Bendix had driven stagecoaches together for some time. As they embark on their first journey for West-ward Stage Lines on a new route to San Francisco, however, the trail becomes perilous after finding a stranger at the way station and learning the family that runs the way station “Dream’s End” has been murdered and robbed as well as the special passenger the owner of the stage line wants them to pick up is missing. 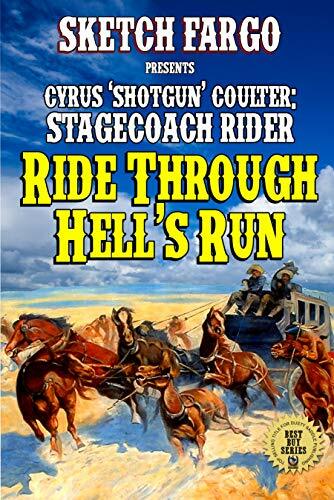 Now it’s up to Cyrus, Sam, and the stranger, to get their three passengers through the longest and most hostile stretch of prairie before they can reach the next town and do so without a fresh team of horses.